Bedlam paintball Backpool Venue is within 25 miles of Blackpool Town Center We are based just a few minutes away from Blackpool Town Center at Whyndyke Farm. Whyndyke Farm is situated at the gateway to Blackpool & The Fylde Coast just off Junction 4 of the M55 motorway and is devoted to leisure and outdoor recreation. You can even see the world famous ‘Blackpool Tower’ from our site. 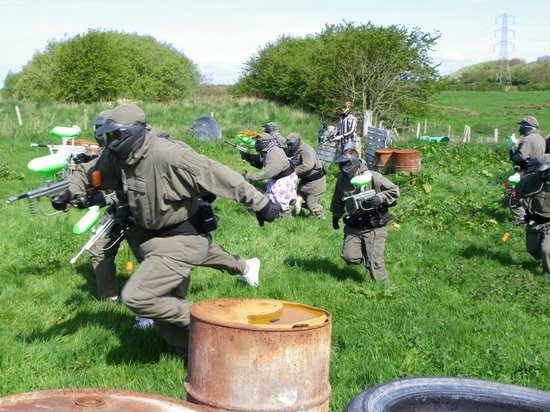 Blackpool Paintball Venue is the ideal activity for Stag & Hen Groups, Birthday Parties, your Corporate Event or just a group of mates on a fun day out.The minimum age for Paintball at our venue at Blackpool is 12 years of age. Next your whole group is split into two teams and given a full safety briefing which covers all of the rules, health and safety and emergency procedures of our site, this takes around 20 minutes. Players are then escorted to the safe area on site. Safe area is a base on site you go back to in between games and is where you are issued with paintballs and paintball markers. In safe area there is drinking water provided for you, seats to rest and cloths to clean masks. A member of our team will then brief the team briefing on each tactical game scenario that will take place. Trained marshals, will be on hand to give tactics, make sure everyone is safe and keep you going! Bedlam Paintball Blackpool. 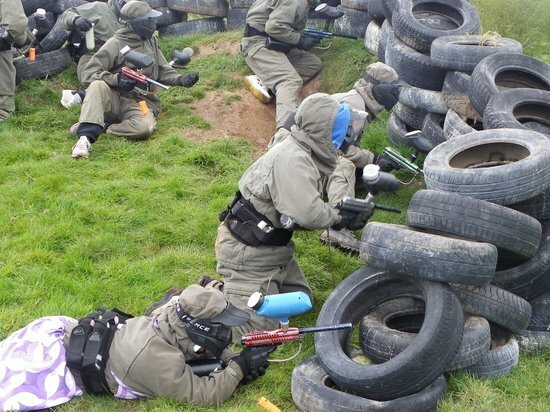 The best paintballing deals in Blackpool. Go Bedlam Paintballing Blackpool is a pay as you go package to play paintball in Blackpool .The package includes entrance fees, game fees, paintball insurance, paintball marker gun, paintball hopper and propellant for the whole day.